Nassau Capital Advisors, LLC is a real estate development and financial advisory firm founded in 1997. We specialize in assessing the financial feasibility and organizing the development process for real estate projects for private and public clients, including developers, corporate clients and non-profit/governmental agencies. Our core business is providing expert real estate advice, sophisticated tools of financial analysis and project management services to clients during each stage of the development process. 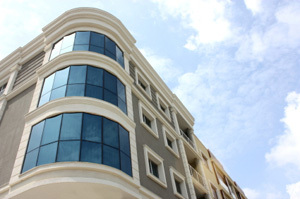 Our principals bring many years of experience in the real estate business to assist clients in defining the goals of a project, assessing the financial feasibility of the investment, assembling the appropriate development team, and preparing smart financial and marketing strategies to insure the success of the project. Drawing on our extensive experience in the real estate marketplace as principals, we can help clients navigate the complexities of the development process to achieve their goals. We combine our development experience with strong analytical capabilities and wide-ranging relationships within the governmental and financial communities, to produce exceptional results for our clients. Our client base includes a broad cross-section of the real estate community. We represent developers and owners of income property, as well as corporations undertaking projects for their own use. Our clients also include municipal and other governmental redevelopment agencies, as well as colleges and universities, which may be focused on the development of complex projects. Our firm specializes in the structuring of public-private partnerships to undertake such developments. We strive to match our services to the specific needs and budget of the client. Our recent assignments have ranged from overall project planning and management of a project, serving as a virtual development staff for a client, to more targeted assistance focused on a particular issue which requires specialized attention and expertise. Please take a moment to browse our site, including representative assignments we have recently completed. We welcome your calls and e-mails requesting additional information about our work. We also value the opportunity to brainstorm with potential clients about projects which might be in the planning stage. Bob Powell has more than 30 years experience in the development and finance of real estate. The New Jersey State League of Municipalities recently released a report prepared by the principals of Nassau Capital Advisors, LLC which analyzed and documented the significant limitations of the Mt. Laurel inclusionary zoning strategy as a tool to create affordable housing in New Jersey. The report is titled Demographic and Economic Constraints on the Inclusionary Zoning Strategy Utilized for the Production of Low and Moderate Income Housing in New Jersey. The report was published by the League of Municipalities in September, 2015 as part of the League’s involvement in the current judicial proceedings over the implementation of the Supreme Court’s Mt. Laurel.